When it comes to protecting your home and property, one of the biggest threats you’ll face is water. Water damage can rot structures, undermine foundations, and cause staining and deterioration in almost any building material. For this reason, waterproofing your home is vital and affects every stage of building and maintenance. The foundation of a home and walls of a basement come into direct contact with the ground, so moisture will seep inside if you aren’t careful. 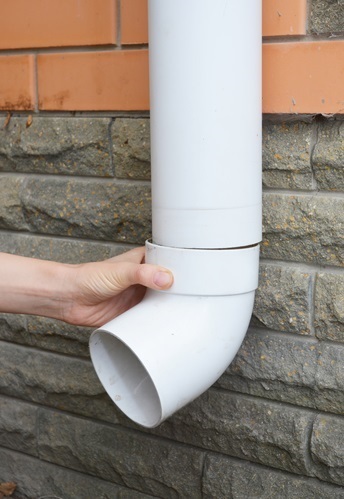 Drains and possibly a sump pump should be installed to direct water away from the foundation. A coating or sealant is applied to waterproof the space. Your roof is a potential access point for rainwater and snowmelt. Thankfully, proper roof installation already includes multiple strategies for keeping moisture out. The pointed shape of traditional peaked roofs is designed to shed water, a goal which is aided by the layered pattern of shingles or tiles. Wherever this pattern is broken by joints, chimneys, skylights, and other protrusions, your roofing contractor will install flashing to seal the gap. The walls of a home have less contact with water than the roof or basement, so they don’t require as much waterproofing. Eaves and roof gutters should direct most water away, and for the occasional splash of rain, you can apply weatherproof paint. Repaint your home periodically to maintain this protection. Interstate Roofing & Waterproofing in Onalaska, WI, offers residential, commercial, and industrial roofing services including for historical restorations and general repairs. Whether you need a whole new roof or fresh waterproofing on an old one, their skill, experience, and dedication are exactly what you need to achieve optimum results. Contact us today!